Referring to one’s brain, we have been told there is a direct correlation between mathematics and music. I would like to expand this finding to the similarities between that of a percussionist and personnel manager. I can hear the sighs now … but wait, educator and drummer Jay Burak once said “learning to drum can assist geometrical and mathematical thinking, as well as organizational skills”. Not only do I think this may be true, I am a firm believer, it is the truth. In the percussion section setting up individual players stations can be based on any number of factors. Choreography and space limitations are just two major considerations to bear in mind. Careful organization of players, assignment of parts and instruments position are all part of the duties of a principal percussionist. Much in the same way the musicians of the entire orchestra fall under the duties of the personnel manager. The art of developing practice disciplines and performance skills requires a high level of desire and dedication to our art. All those years spent in practice rooms honing our talents may lead us to areas we once considered uncharted If you would consider the amount of concentration, determination, drive and focus it takes to succeed in music performance, it is not unthinkable that these skills can be put to use in other areas of the music world. As percussionists and timpanists we are accustom to driving, supporting and even encouraging the orchestra to perform in a specific way. In the same way, this is part of the personnel managers’ duties as well, just without the mallets. A good personnel manager will create an atmosphere which is conducive to allowing the musicians to perform at the highest level attainable on any given day. The parallel between the two positions are frighteningly similar. Part of your weeks work is to layout the best scenario for your section to perform at the highest level, paying close attention to detail and concern for your colleagues. In the same fashion, the personnel manager offers the same consideration to the entire membership. We both take our discipline to the practice room as well as behind the computer screen. Keeping records, organizing payroll for 100 musicians weekly, taking painstakingly detailed notes on each and every occurrence both on and off stage are all part of a personnel managers daily life. In the same manner performers take the necessary steps to ensure a solid, well prepared performance. As someone who has been wearing both hats for nearly three decades, I still draw on the skills developed years ago in the practice room. During those years, there was never the slightest thought I would eventually find a parallel career in management. My time is now divided into two areas; one brings me back to my college days where I spent endless hours practicing, preparing and enjoying music. The other is my life as a personnel manager where I use my organizational skills to help keep the ship running on track. The joy and happiness I feel each and every day of my dual career serves as a constant reminder of where it all began, in the practice room, preparing music, marking parts, creating set-ups and working on my chops. Along with these important rituals it is vital to remain open minded as you never know when your career can take a new, most welcome direction. 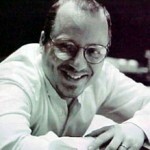 Jim Neglia is currently the Orchestra Personnel Manager of The New Jersey Symphony Orchestra. Along with his managing duties, he enjoys a busy performance schedule in their percussion section. He has performed live on WNYC radio, All Things Considered and has made various recordings for RCA, Decca & Delos International records. He has appeared worldwide, covering 27 Countries in solo and orchestral performances and worked with a range of musical greats from Placido Domingo to the Moody Blues. He enjoys chamber music as well as symphonic music; James performs with “Rhythmstix” a Marimba – Vibraphone duo. James has also appeared and performed in motion pictures that include, “I love NY”, with Christopher Plummer and Scott Biao and “Joe Gould’s Secret” with Stanley Tucci which ran on HBO. In addition, James received his BM and MM from the Mannes College of Music in New York City and spends much of his time with wife Alexandra and children Phillip and Daniel.